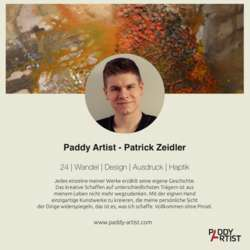 Patrick Zeidler, the son of Lana Zeidler an InterNations Member, invites you to the vernissage "Ausdruck Protected content ! There are many ideas, they need to be taken up and implemented. Together with the artist Sigrid Koller, the Prof. Spitzy Auditorium/Hospital Speising will be artistically decorated.